Helen E. Simko, 89 of Chandler, Arizona passed away peacefully on Jan. 28, 2019 surrounded by her loving family. Helen was born on April 18, 1929 in Chicago Illinois. Helen graduated from Fenger High School in Chicago. Helen continued her education and graduated from Little Company of Mary Hospital and became a Registered Nurse. Helen and her husband moved to Arizona in 1980. 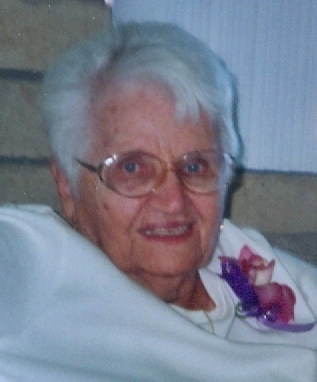 Helen was a loving and caring wife, mother, grandmother, sister, aunt and friend. Helen is survived by son Allen and daughter, Sandra (Doug), 3 grandchildren, Jason, Mark and Christina, sister Irene and nephews and a niece. Helen is preceded in death by her husband, Stephen Simko and her son, Steven Simko. A memorial service will be held on Monday, Feb. 4th at 12:00 pm with a visitation one hour prior at La Casa de Cristo Lutheran Church, 6300 E. Bell Rd, Scottsdale, AZ 85254. Memorial contributions may be made to La Casa de Cristo Lutheran Church.